The main reason to choose heirloom varieties is the flavor. 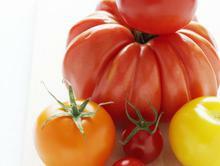 There's nothing heirloom-tomato taste like; you'll find a wide range of flavors in our heirloom-tomatoes here with us! We take pride in our wide selection of quality produce. All of the vegetables we offer are trusted by excellent companies and can be delivered to you within 2-3 business days. 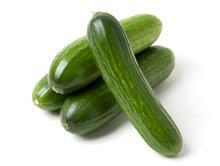 All cucumbers, are a fruit but are treated and eaten as a vegetable. Persian cucumbers, AKA Beit Alpha, have become the pinnacle variety of cucumbers. 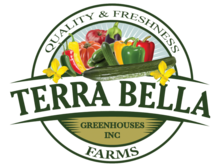 Terra Bella: grows a nice variety of hot chili pepper, like Serrano’s, Anaheim, and Jalapeños just to mention few! Fun Fact: did you know..? On his first voyage to the Western hemisphere, Christopher Columbus mistakenly called the fiery chili pod “ Pepper” because of its heat, thinking that it was related to black pepper. Chile peppers originated in South America then spread to Central and North America. Persian cucumbers can absorb other flavors quite quickly, which gives them the opportunity to act as a vehicle for spices in a short period of time. 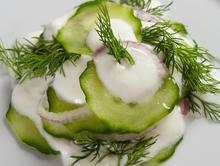 Consider using Persian cucumbers as a salad ingredient, for salsas and creamy dressing. 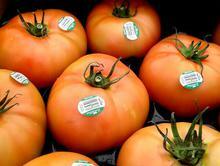 The tomato, Lycopersicon esculentum, is a part of the nightshade family. It is a warm-season crop that originated in the Americas and was taken to Europe by Spanish conquistadors in the sixteenth century. Some believe the fruit might have been taken to Europe by Christopher Columbus.